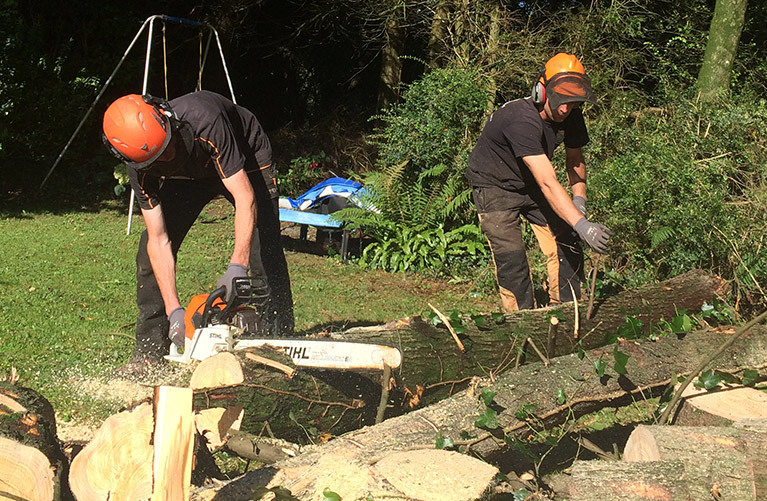 Southern Tree Services was founded in February 2015 by two local young men, Paul Holly and Eoghan O’Leary. We’ve a combined experience of 16 years in the arboriculture industry coming from Australia, America and the UK. Situated on a 4 acre site in Cork city, we support local services and suppliers and we employ local qualified arborists. 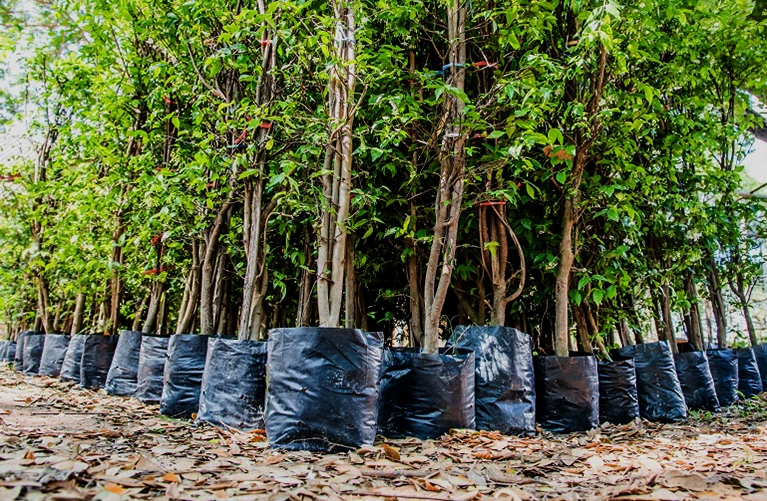 We care for trees in schools, church grounds, public parks, commercial sites as well as domestic gardens. We are NPTC and City & Guilds qualified and we have the machinery and vehicles to get the job done efficiently. By ticking yes, you consent to Southern Tree Services storing your information for the purpose of your enquiry & future communications. We do not share information with third party organisations. We love and appreciate big mature trees. However all too often trees are not maintained properly resulting in dangerous situations. We can enjoy living side by side with these green giants if we reduce the risk. This is done by reducing the height and spread of the tree canopy, thus reducing the amount of wind resistance. 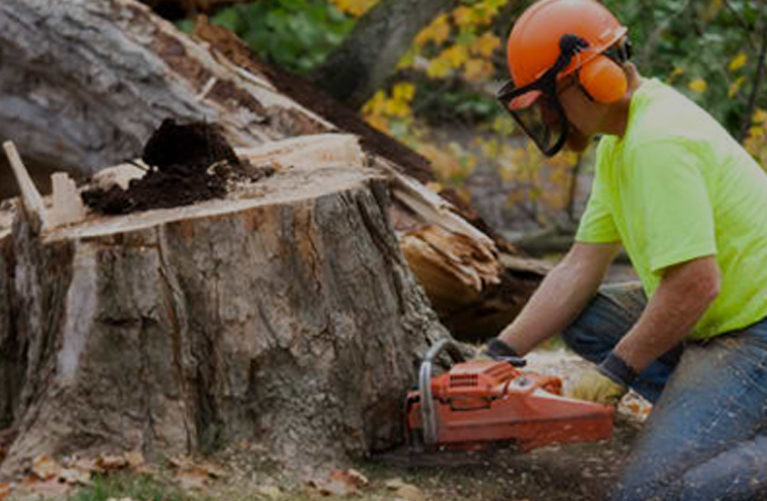 We also identify and remove dead or unstable branches. Each tree is examined individually in relation to size, shape, age, condition, site and species. 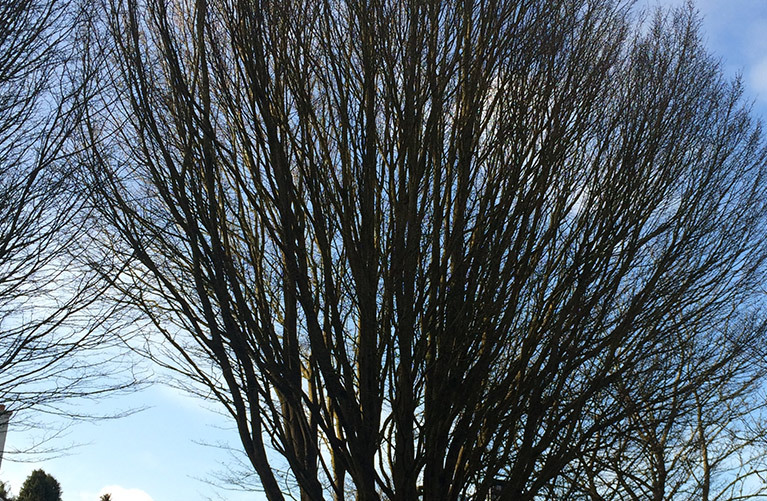 All pruning is carried out with care and respect for the tree by qualified arborists only. Each branch is removed using the ABC cut method ensuring the branch collar remains intact. Any large limbs are removed using ropes and slings. Controlled lowering of all material is an integral feature of our work. 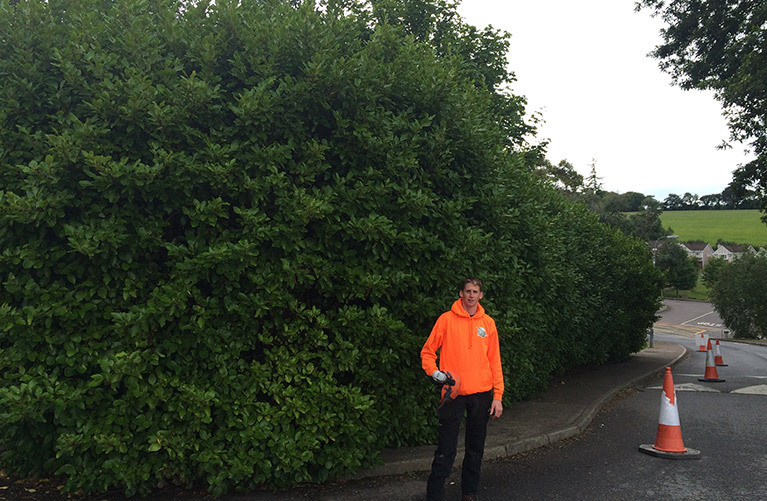 Although hedge trimming is usually carried out by gardeners, we have an extensive client list for this service. We can trim small hedges and shrubs to a neat and natural shape or we can also cut larger overgrown hedges such as a row of conifers to a manageable height. If you would like professional advise for tree planting then you are in safe hands with the Southern Tree Services team. With our expert knowledge, we'll be happy to advise on preferred site and species to enhance your property. We can take care of the whole process for you from site preparation to after care. Storms are unpredictable and can cause trees to fall at the most inappropriate hour. They can block access or worse, damage vehicles or property. This is why it's crucial we provide a round the clock emergency service. 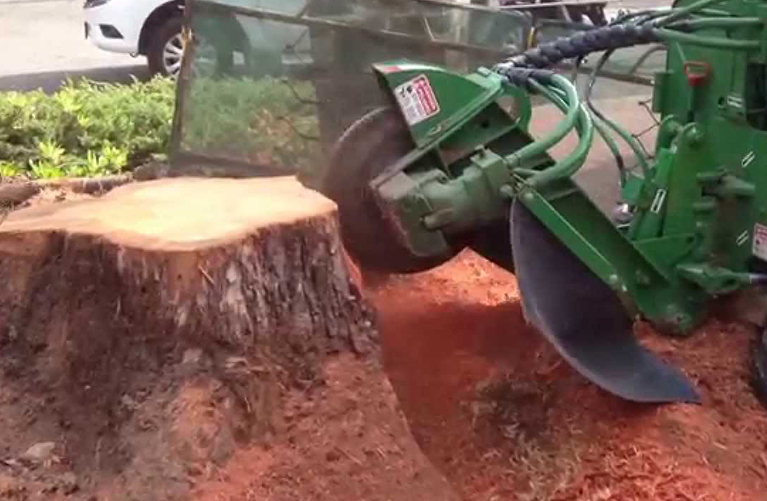 Stump grinding involves the removal of a tree stump to a specified depth, usually approx 250mm. Once the stump and lateral roots are ground out we backfill with either soil or grinding waste to leave a tidy level area. Storms are unpredictable and can cause trees to fall at the most inappropriate hour. They can block access or worse, damage vehicles or property. This is why it's crucial we provide a round the clock emergency service.